RIM - where did it all go wrong? RIM has lost a massive 68 per cent of its stock value over the course of this year, taking its net worth to a record low. The BlackBerry maker's stock fell below "book value", which isn't exactly a vote of confidence as it means that investors think the company itself is worth less than its assets and patents. It's been a, shall we say, challenging year for RIM. The company's first tablet, the BlackBerry PlayBook, has failed to capture the public's imagination, while it suffered days' worth of global network downtime and its messaging service, BBM, was linked to the London Riots. 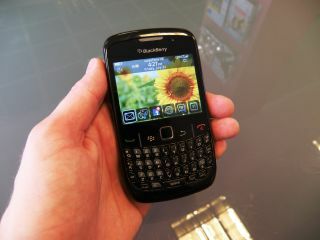 It's possible that some cash-rich company will swoop in and buy RIM; shareholders have already suggested that this would be a sensible option for the company. Elsewhere, BlackBerry employees have pleaded with senior management to get with the times by ditching the dual-CEO structure and giving creative employees more freedom. Increasingly desperate tactics like 'buy two PlayBooks get one free' and claiming to be launching five phones when actually only launching two don't seem to be doing the company any favours – we wonder what 2012 holds for RIM.